[Minecraft] Secret Rooms Mod or SRM . This is a super-cool mod which allows you to add some great blocks inside your Minecraft world. These blocks helps you to hide your diamonds and place some traps for those who wants to steal it. This mod include Hidden doors, pressureplates, hidden levers and much much. We are quite sure that you will have a blast while adding this mod. Description: A tool which helps you to hide your diamonds and make blocks. First make sure that you have Modloader. 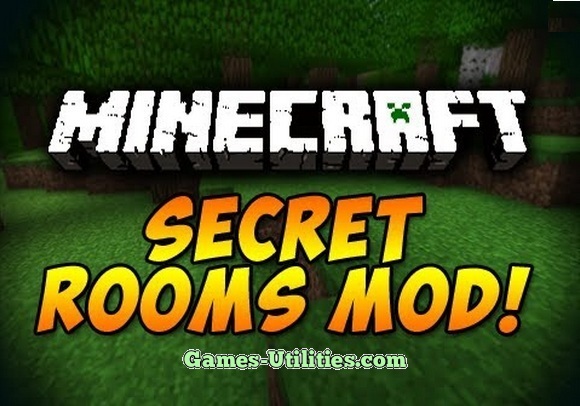 Now just download Secret Rooms Mod for Minecraft. Now there you have it. Or just download Installer it will do it easily. So guys enjoy playing Minecraft Secret Rooms Mod for Minecraft 1.8.9. We hope you will have alot of fun. Keep coming here to check the latest updates of your favorite game online here..